Chartered Institute of Forensic and Investigative Auditors of Nigeria (CIFIAN) is anti-fraud organization saddled with the responsibility of providing skills to professionals from different fields on the use of science and technology for prevention, detection and investigation of fraud, and also put in place some sophisticated mechanisms to prevent future occurrence. Our emphasis is on FORENSIC AND INVESTIGATIVE AUDIT and not Forensic Accounting. The whole world has gone digital and now fraudsters now engages digital technologies is perpetrating fraud which has made traditional auditing inadequate. An Accountant is an Auditor but an Auditor must or may not be an Accountant. 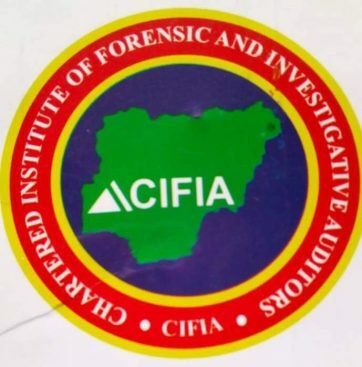 A forensic and investigative auditors need knowledge of Accounting to unravel manipulations of Accounting facts and figures in the financial statement prepared by an Accountant. B. Must be a member of one of the following professional bodies: CFE, CFA,CPA, IFA, CISA, ANAN, ICAN, ACCA, CIPFM, CMA, CITN, ACSA, IIFIP, CIBN, NBA, One year professional expirience.